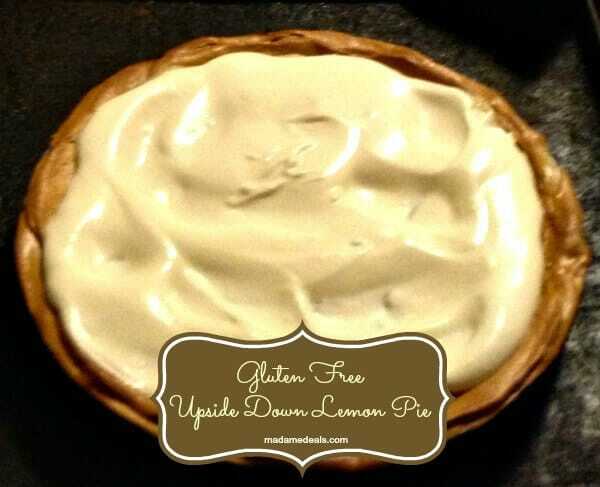 If you crave a gluten free lemon pie this upside down lemon pie is a must try! This gluten free upside down lemon pie is an excellent way to have dessert without a traditional piecrust. Read Gluten Free Thanksgiving tips, gluten free dressing, and gluten free peanut butter cookies! Don’t miss the gluten free roux giveaway or the review with amazing recipes! Need a quick easy hostess gift use Gifts in jars: Jelly Belly, or turkey noodle soup. 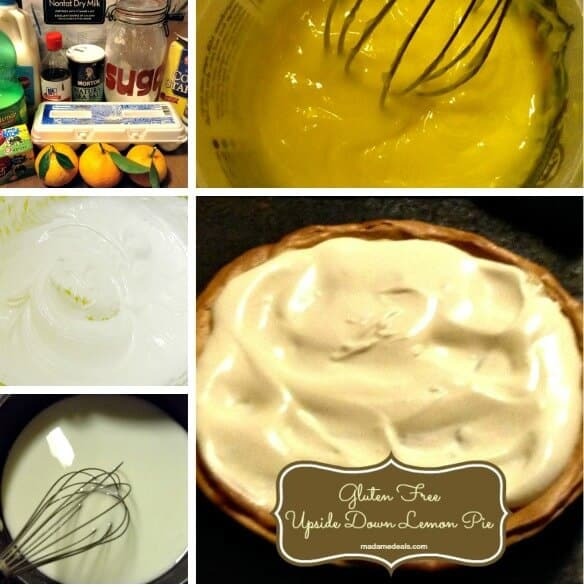 Enjoy your gluten free upside down lemon pie during this season of fresh lemons for the best taste!